Eastern Ontario Jobs was created to let people know about the potential and the opportunities available in this part of the province. We do this by promoting employment opportunities - the key to building a life and a lifestyle that is rewarding. Eastern Ontario is an incredible region with so much to offer. At Eastern Ontario Jobs, we thought more people should be aware of that. 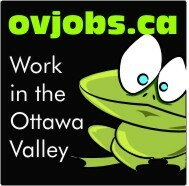 Eastern Ontario Jobs is a project of Forward Thinking Marketing Agency in Pembroke, Ontario. We're a small company, located in Eastern Ontario, so we "walk the walk" so to speak. Our company creates great marketing for other companies and organizations, and we launch a few of our own projects as well. Eastern Ontario Jobs is one of those projects. 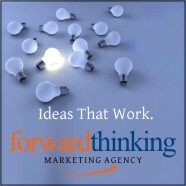 For about us, please visit: www.fwdthink.net. Many organizations have websites that have their own jobs posted on the, or the jobs of their members. There are also other online job boards. So why do we need another one? Well, we're a little different. Our goal is to promote Eastern Ontario opportunities as a whole. Many people think that Eastern Ontario doesn't really offer the opportunities of other parts of the province, or of other provinces. That's not true. Eastern Ontario employers offer incredible opportunities, and people should know about them. We have some of the most beautiful landscape in Canada, and the ability to live and work here is truly incredible. That's worth telling people. We welcome anyone's questions about Eastern Ontario Jobs. Just give us a call or send an email - whichever suits you better. There are real people on the end of the line and responding to your email.